The overall markets today have taken a beating and have plunged nearly 5% throughout the trading day. The NASDAQ is currently down 4.54% at 2,293.26, the DOW is down -4.15% at 10,416.71. So right along with the NASDAQ plunging, Apple shares (NASDAQ:AAPL) are taking their share of the beating as well despite strong iPad sales on both the WiFi version and the new iPad 3G. 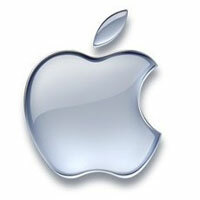 Apple shares are currently down almost 5% as well (-4.55%) trading at $243.74 which is a 12 point decrease for the day. I’ve asked the question before, do you think that Apple shares are heading to $400? In my opinion, I think that $400 within the next 12 months is easily achievable for Apple. After all, we just had the launch of the iPad WiFi and the iPad 3G here in the United States. But on May 10th (Monday) the iPad will launch to the rest of the world. Also we have potential upcoming announcements of the new iPhone 4G, and more than likely announcements of the iPhone being sold on other carriers such as Verizon. And don’t forget about iAd – Apple’s mobile advertising platform. It is believed by some analysts that iAd revenue could potentially reach an annual run-rate of $800 million in revenue by the end of fiscal 2010. So I think that Jim Cramer is looking at it this way – the stock is down along with the rest of the market. And with the share prices dropping below $250, Apple is a certain buy for long term investors. Do you see Apple as a buy at the current price of below $250? Do you think Apple will climb to as high as $400 within the next 12 months? ahhhhhhhhhhh haaa apple is on its way out. Clever post. My guess is that it was made in your parents basement from your fancy PC? how can you say that? The entire market is down today – so what makes Apple exempt? I agree with Cramer – with Apple below $250, it is a "BUY, BUY, BUY"! I'm telling you – and remember that you heard it here first – Apple shares will break $400 by the end of 2010. You are dead wrong. I believe it will get to $400 by the end of 2011 but 2010 is way to premature. Especially since AT&T just bought itself six more months of exclusivity – which you apparently haven't read about. So the soonest we would see the iphone on another network is early Jan 11. At this time it will go to Verizon and take off like a rocket. however, your numbers are off base. But Iad will push it over $325 by the end of this year. You heard that here first. All I can say is I thought Apple was overpriced at $42 when I bought in a few years ago. Guess I was wrong. Now I can afford to wait for $400. This article lost all credibility when it quoted Jim Kramer. The stock may hit 300 but 400 is too optimistic in my opinion. For that to happen Apple needs to continue hitting homeruns and that's not easy even for Apple. I'm not only staying, I'm buying like crazy Friday morning. I hope Kramer is right about $400. Perhaps a little off the mark. But $300? Easily this summer and then some.